AFEX, one of the world’s largest non-bank providers of global payment and risk management solutions, has launched the AFEX CurrencyPass Prepaid MasterCard. AFEX has partnered with Centtrip, an award-winning prepaid card and e-money business. The first of its kind worldwide to provide live market rates on 14 currencies on a single card with no exchange rate fee, the card saves users the costly commissions, spreads and charges imposed by traditional credit, debit and prepaid cards or currency exchanges. 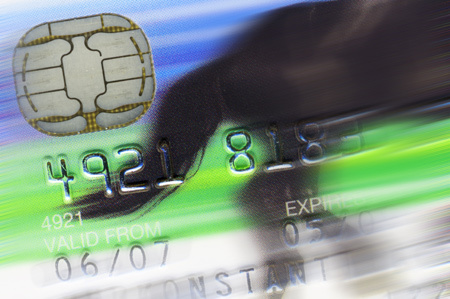 Companies pay a fixed annual charge of £10 per card and a 0.5 percent charge when funds are loaded to the account. The card is free to use at over 35 million locations worldwide and for a fixed rate of £1.60 at over 2.1 million ATMs. AFEX CurrencyPass will be available to all of AFEX’s UK corporate and SME clients. AFEX CurrencyPass is aimed at businesses whose employees have a commitment to international travel to manage corporate expenses, providing them with greater control and flexibility. Organisations will be provided access to an online account to view cardholder spend, buy and sell one of the 14 available currencies, allocate funds to cards and generate tracking reports. Cardholders can view their transactions and balances in real time via a smartphone app. The AFEX CurrencyPass can be loaded in advance in the currency of choice and used at over 35 million locations and 2.1 million ATMs worldwide displaying the MasterCard mark. Available currencies for the AFEX CurrencyPass Prepaid MasterCard include the US Dollar, Pound Sterling, Australian Dollar, Canadian Dollar, Danish Krone, Japanese Yen, New Zealand Dollar, Euro, Hong Kong Dollar, Norwegian Krone, Polish Zloty, South African Rand, Swedish Krona, and the Swiss Franc. For more information on the AFEX CurrencyPass, please visit www.afex.com.